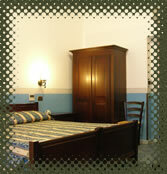 The Rome Hotel Luzzatti is a small and welcoming hotel ideally placed for exploring central Rome. It has been recently modernised, blending traditional and new styles whilst maintain a typical Roman atmosphere. Highly recommended, the comparatively low rates of the budget 2 Star Luzzatti Hotel Rome offer great value for money for small families, business people or travellers, and the pleasant and helpful staff will be eager to ensure your stay is as comfortable and relaxing as possible. Conveniently located for central Rome, the hotel is close to the major transport links and within walking distance of many of the city’s tourist attractions. Rome itself is a timeless memorial to mankind’s sophistication and civilisation. With breathtaking architecture and a unique grandiosity, the city represents the magnificent achievements of the ancient and medieval worlds, as well as boasting a thriving modernity that rivals any city in its glamour and variety. From the Imperial Forum and Colosseum to the Vatican’s Basilica San Pietro, there is simply no end to Rome’s attractions. Recently refurbished to evoke an atmosphere embracing the ancient and modern Italian styles, the Hotel Luzzatti is a simple yet tasteful base for your stay in Rome. Located on a relatively quiet side street, the 2 star facilities are extremely good value for budget accommodation. The sixteen rooms are all soundproofed to ensure a quiet respite from the city’s bustle, and also air-conditioned. Each has en-suite shower room, television, hairdryer and secure combination safe for valuables. Access is by an electronic key system. The Reception is open 24 hours a day and the multilingual staff are happy to be of assistance at all times. The reception hosts a telephone and snack bar, and in summer guests can breakfast in the lovely garden courtyard. The hotel also has a garage nearby. All credit cards are accepted.